Dairy products are, from a conventional nutritional perspective, very much a ‘double-edged sword.’ On the one hand, we are told, they provide the body with valuable calcium for healthy bones. On the other, they can be rich in ‘artery-clogging’ saturated fat and cholesterol. The answer, we are assured, it to consume dairy products in low-fat form. Skim/skimmed milk and low-fat yoghurts and cheese are now the order of the day. 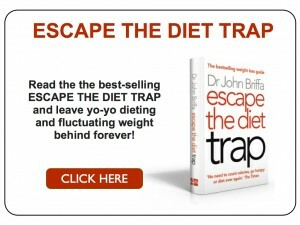 Yet, our appetite for such products is based on extremely wonky evidence. For a start, the amount of calcium derived from dairy products appears to have little bearing on bone health (including in women and children). Also, the idea that eating saturated fat or cholesterol causes heart disease is not supported by the evidence either. Over the last few years we’ve seen plenty of evidence come to light which fails to link saturated fat with an increased risk of heart disease. More importantly, though, is the mountain of evidence we have that shows that moving from saturated fat to ‘healthier’ polyunsaturated fats (including ‘vegetable’ oils) does not confer health benefits. Recent times have seen at least some shift in thinking away from saturated fat and cholesterol as a cause of heart disease towards something altogether different – inflammation. Inflammation is what causes an ingrowing toenail to be red, hot and painful. However, low-grade inflammation throughout the body may have no obvious symptoms, but is implicated in heart disease, as well as other chronic diseases including obesity and type 2 diabetes. Some may therefore argue that the impact a food has on health has little (if anything) to do with its impact on cholesterol levels in the bloodstream, say, and much more to do with its propensity to promote inflammation. We might want to emphasise anti-inflammatory foods (such as so-called omega-3 fats found in fish such as mackerel, herring, sardine, trout and salmon) and avoid over-consumption of ‘pro-inflammatory’ foods. Previous work has linked the consumption of dairy products with higher levels of markers of inflammation in the body. However, such studies (so-called ‘epidemiological’ studies) only tell us that two things are associated with each other, not that one thing is causing the other. To know if dairy products actually cause inflammation we need to give people these foods and see what happens to levels of inflammation in the body. This week saw the publication of a study where researchers gathered together relevant studies in this area . 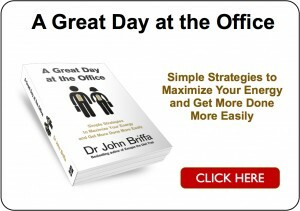 Eight studies were found. In four of these, dairy products had a favourable effect on markers of inflammation. In the other four, they appear to make no difference. Overall, therefore, this review provides evidence that dairy products are not particularly pro-inflammatory. However, that does not necessarily mean they should be eaten with gay abandon. One of the problems I see quite frequently in practice is ‘food sensitivity’ – unwanted reactions to food that can cause diverse issues including digestive problems, asthma, eczema, joint pain, headaches and fatigue. I have to say, I do find dairy products are frequent offenders. As a general rule, though, I do find raw (unpasteurised) dairy products appear to be better tolerated than pasteurised, and I also find in practice that yoghurt is better tolerated than milk. This probably has to do with the fact that the bacteria deployed in the fermentation process that forms yoghurt partially digest milk proteins, making them easier to digest and less problematic. I also find butter to be generally very well tolerated, perhaps on account of the fact that it has relatively little protein in it and no lactose (another potential problem) to speak of. If milk and cheese is to be consumed, I find goat’s and sheep’s products to be generally better tolerated than cow’s. 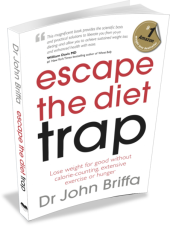 Dr John Briffa’s best-selling ESCAPE THE DIET TRAP – lose weight without calorie-counting, extensive exercise or hunger is now available in the US! Are we soon to see a relaxing in cholesterol guidelines? I agree that consumption of dairy really does depend on the individual. I have read one study which showed that milk was even more insulinogenic than white bread and another study (epidemiological) showing people who ate dairy fat at the lowest risk of diabetes. I think an important question an individual should ask themselves is: Are certain types of dairy a problem for your health or weight? If you do want to include dairy in your diet and have no issues with lactose intolerance, can control weight & good health, then including dairy may not be a problem. I have heard that for some it can help them improve their strength if they lift weights. For other people dairy can stall weight loss. In this case, I think it may be worth experimenting by taking it out to see if it makes a difference. I would say personal experimentation is important when choosing to include any dairy products in the diet. I can react to milk, cream, cheese, yoghurt, even butter – but not if I use them in cooking, which seems to denature the proteins I’m sensitive too. So I avoid milk and cook butter and cream and yoghurt into my food. Cheese I can usually handle once a day without the other allergens. Hmm, interesting. I have suffered eczema for 5 years now and, in fact, just this week started a dairy free trial period of 3 weeks to see if that helps. I will be curious to see what future studies & research reveal. But I have read and heard so many stories of dairy causing eczema that I figure it’s worth trying. I know when I started doing paleo/low carb again last June, the eczema seemed to go in remission for a few months, till I got less strict about it. So, it’s difficult to say what it is that I potentially eliminated. Or if it’s just seasonality. I have a son who has never had any significant health issues. When he turned 16 he began to show signs of facial acne. “Google ‘acne’, ‘spots’ and ‘milk’,” I said. He did and trumped many reports discussing a link of milk with acne etc. He had taken to drinking more milk at a time when his hormonal balance would be adjusting in line with laws of nature. He cut back on milk and the acne regressed. For four months his facial spots, minor by many peoples experiences, work like a barometer describing how much milk he has consumed. Growth hormones present in milk clearly have capacity to interfere in some aspects of human physiology and may well associate with acne or excema and there is plenty of discussion to be found about the web. Ben enjoys his milk but limits overconsumption, and he enjoys his extra thick double cream. Subject to whether the troublesome factors are water or fat soluble would have a bearing upon whether cream and butter could be less, or more, or a problem. Butter and cream seem less of a problem, for him. I think dairy, especially from pasteurized milk, does cause inflammation (or possibly some sort of autoimmunity) in *some* people, mainly (but not only) with skin symptoms like acne (the Harvard acne study comes to my mind). There is one study (Triolo 2002) that links dairy (and possibly eggs) to Behçet’s and possibly Crohn’s. I agree that saturated fat is innocent. And I think the pathogenic potential from raw milk dairy is much much lower than from pasteurized milk. But dairy from pasteurized milk is highly suspect. The cow immunoglobulins in milk should give you pause for thought, and I have to yet see research establishing the pathogenic potential of pasteurized milk. What changes during pasteurization? Heck, if I know, but I know it causes all kind of symptoms for me (which may or may not be Behçet’s), while the symptoms from raw milk dairy is minimal. I would be careful to pronounce all dairy innocent for the general population on one study (and especially considering that some people have less evolutionary heritage that would make them tolerant to milk and dairy). 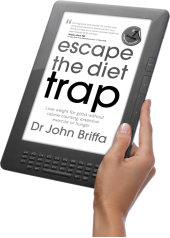 I agree with Dr. Briffa and the savvy readers above that we have no need to fear the saturated fat in dairy products, and that dairy affects each of us differently. The most important potential risks of dairy foods have to do with their proteins, not their fats. Lactose intolerance is just the beginning. There is plenty of evidence that dairy products increase risk for constipation, colic, and anemia in infants, for example. For some of us dairy is an important cause of acne, upper respiratory tract infections, and IBS. The proteins in milk trigger spikes in our own levels of Growth Hormone and IGF-1 levels. Whey protein in particular causes insulin to spike just as much as pure sugar does. This is why high-fat, low-protein, low-lactose dairy foods, such as heavy cream, sour cream, and butter, are the easiest to tolerate for many of us. However, even those can cause problems for the very sensitive among us (myself included, unfortunately). I personally find that dairy foods increase my appetite and make it impossible for me to lose weight, even on a low-carb, paleo diet, probably due to naturally-occurring hormones within dairy products. I was trying to recall a website that offers some well crafted explanations and advice and the name of the person behind it so I could recommend it, highly. Unfortunately my memory failed me and the name would not come to me, only the name of some other well-informed physicians, a team of husband and wife whose surnames are similar. Fortunately Georgia came by and reminded me of that website and name, for she is the distinguished person behind a very distinguished website !! The link Georgia provides at the end of her comment is the most informative discussions of milk and sensitivity issues that I have come across and should be a ‘must’ for you. I haven’t found any other source that could compare with what you have put together on dairy, It stands head, shoulders, then maybe thighs and knees above anything else. Yes, I too have found protein sources in general can elevate my blood sugar and result in sensations comparable with poor management of T2DM, and I heeded some warning I read that milk is highly ‘insulinotropic’. We try to by non-homogenised milk (available in Waitrose) because I reason homogenisation must alter some physical properties of the fats or lipoproteins themselves. Rather than find dairy increases my appetite I find constructive use of heavy cream seems to attenuate it. One morning after I had eaten (the evening before) more cream than I ought I sensed some still rested in my tum and hadn’t moved much. I wondered if gastric emptying (meaning the passing of energy over the gastro-intestinal divide and into circulation) might be regulated according to need – might the business of digestion be modulated in some way? I figured it might, I figured fats may have overall command over the rate of digestion if supply of the emulsifying factor, ‘bile’, was also regulated by some process. I haven’t got it clear in my head yet but I did trump some encouraging leads. For more than one reason, and for a reason associating with the evolution of the human diet it would make sense if satiety signals, and possible attenuation of digestion, were predominantly ‘fat centric.’ I don’t get hunger pangs, I can miss a meal and still not pig out next time around, I don’t get carb cravings, and I have lost several kilos since I become satisfied neither saturated fat nor cholesterol have much causal involvement in the advance of heart disease and i began eating lots of healthy butter and cream. But I can see the plausibility in a possibility that if dairy can disrupt the balance and levels of insulin then disruption to appetite control could follow. I realize Dr Briffa is saying that raw dairy is better tolerated in practice, rather than citing any studies that might conclude the same. Does anyone know if studies exist that show raw dairy to be better tolerated than paseturized? When my daughter was 8 years old she suffered so much with tonsilitis. One doctor even mentioned the possibility of having her tonsils removed which I did not favour. It was at this point that someone suggested to stop giving her cow’s milk products. And it worked! She has not had tonsilitis ever since. She does take some cheese every now and than, and takes goat’s milk. I recently suggested it to someone whose son was having severe asthma attacks. She reported back to me that it worked for him as well. As I understand it, ethnic Northern Europeans have a very low rate of lactose intolerance (at about 5%), but this increases to 70% or more for African and Asian populations. Northern Europeans do not, generally, have low levels of the enzyme required to digest lactose. Most mammals develop an intolerance to lactose after weaning. In order to digest dairy products, many cultures have to ferment dairy products in order to make them digestible, hence the frequency of yoghurt, laban, lassi, etc in many cuisines. So, the ‘inflammation’ due to diary products will probably vary quite dramatically depending on the ethnicity of the consumer. Does anyone know what foods are available in the UK that contain raw milk? Is it some cheeses? If you have any doubts about dairy being an inflammatory it only takes a quick search of common allergens to realize dairy does, in fact, trigger an inflammatory response. The issue is not so much observable symptoms such as intestinal or skin, but rather a chronic inflammatory response in the body that over time can lead to serious diseases including cancer. Patients diagnosed with cancer who work with a nutritionist who is current on studies re: dairy’s health impacts, are advised to eliminate dairy since it feeds cancer cells. I treated my horse’s laminitis ( a metabolic condition resulting in inflammation) with double cream with excellent results and a friend also used it on her pony. I have written up my findings in a paper which can be found at [http://www.open-science-repository.com/the-milk-fat-double-cream-as-an-effective-anti-inflammatory-in-the-treatment-of-acute-laminitis.html] Unfortunately the vets are not interested. But the science is sound and backed up by other published research and the results speak for themselves. Dairy products ARE anti-inflammatory. Leave a Reply to Chloe Click here to cancel reply.